Tea, by far, is China’s most popular beverage. There are countless varieties and variations of tea. Below are some of the most poplar tea varieties. To try some of these and other delicious asian inspired food, be sure to stop by 720 Fusion Fresh. We hope to see you soon! The green tea is the most natural, within the Chinese teas. It’s dried as soon as it’s picked from the field and then fried. This process blocks the activity of the leaf enzymes that otherwise would alter the composition and the properties of the tea leaves. It has been proven that regularly drinking green tea can prevent cardiovascular diseases, obesity, cancers and diabetes. Even if it’s much healthier than coffee and black tea, many people find it difficult to switch from these products, way more common in the West, to green tea, which has a very different taste. It’s just a matter of habits and, once you make the switch, you will probably enjoy green tea much more than black coffee. Oolong tea is semi-fermented (or semi-oxidized) and, in this sense, stands between green and black tea. The leaves of oolong tea are usually green on the middle and become red at the edge. The change on the leaves’ color is caused by the fact that this tea is fried, rolled and roasted. Even if its taste is pretty mild, you shouldn’t drink too much oolong tea because it’s stronger than it seems! Black tea, which is called “Red tea” in China, is dried, oxidized and then roasted. It’s more oxidized than white, green and oolong teas. It has a stronger flavor and, generally speaking, contains more caffeine than any other class of tea. While green tea loses its flavor within a year, the flavor of the black tea can last several years. This is the main reason for which it has been traded to Europe since centuries. White Chinese tea undergoes a similar process than green tea. Since it retains its anti-oxidation properties it’s considered one of the healthiest varieties of tea. The white color comes from the hairs on the unopened buds of the tea plant. Even if the tradition of white tea production is very old, this variety is quite rare and in the past only the emperor and is crew could enjoy it. The process to obtain the yellow tea is similar to the one used for the green and the white tea. The difference lies on the fact that the tea leaves are let drying for a longer time so that they become yellow. It’s a slightly oxidized tea. According to some experts yellow tea may be more beneficial than green tea. This variety of tea may be subdivided into flower and scented tea. Flower tea only involves dried flowers such as chrysanthemum, hibiscus, jasmine, lily and globe amaranth. Scented tea consists of a bundle of tea leaves wrapped around one or more dried flowers. The pu’er tea is a variety of oxidized and fermented tea produced in Yunnan province. The leaves undergoes fermentation after being dried and rolled. The pu’er tea is pressed and sold in confections that remember a bun or a small cake. This variety of tea should be stored at contact with the air so that the fermentation process can continue. 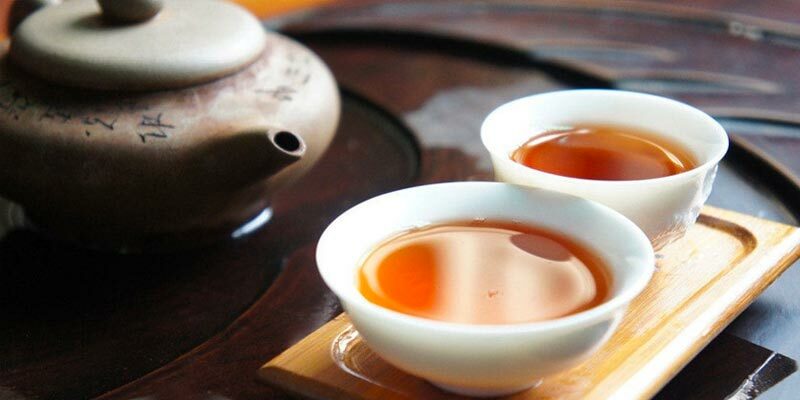 As for good wine, the value of pu’er tea goes up with the time.